Read the entire article over at Wired. It is nice to see a company trying to do their part to help the plight of bees in this country. Häagen-Dazs has an informative web site on what they are doing to help. 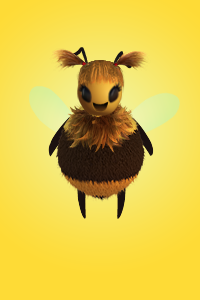 They also have a fun little tool to create your own bee. Below is an artistic rendition of Large Marge.